Illusion spandex tight mermaid wedding gown with lace decoration shows your perfect body figure. Il y a un défaut au niveau du bas ventre , inacceptable ! Et en plus de ça je n'arrive pas à joindre le service client ! Franchement passez votre chemin ! Vos mieux aller directement à un magasin, car j'ai payé en plus du prix 100€ de frais de douanes ! Dress is BEAUTIFUL high quality, but be careful with the fit. Looks just like picture !! 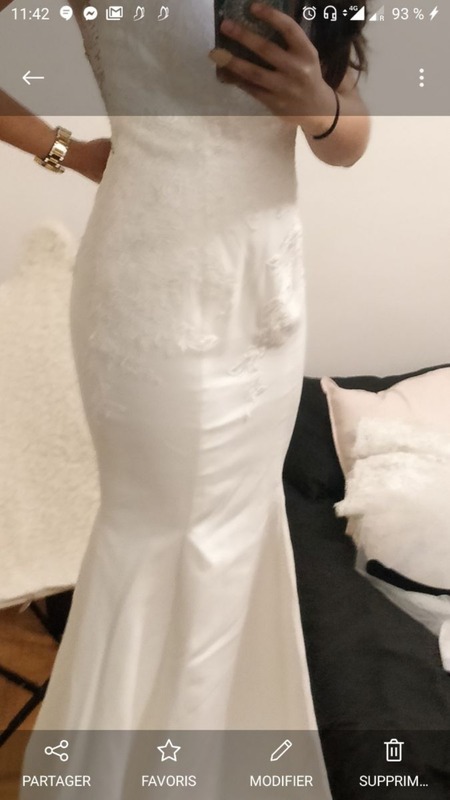 My daughter sent in her measurements and she received the wedding dress of her dreams - sewn to fit her exactly. Received my most beautiful wedding dress! At first, I was concerned with the small box it was in, but after opening it, the dress was just fine! Thank you so much for making the beginning stages of my wedding so wonderfully exciting! I have and will continue to recommend your site to all!! Oh, and did I mention that my dress is BEAUTIFUL? I am really happy with this purchase. I do plan to alter it some as it is going to serve as my back yard wedding dress this July. Very good quality, very nice. Great quality for such a low price! Working with customer service was great! I was able to customize the neckline of the dress to be a V neck instead of the pictured halter. 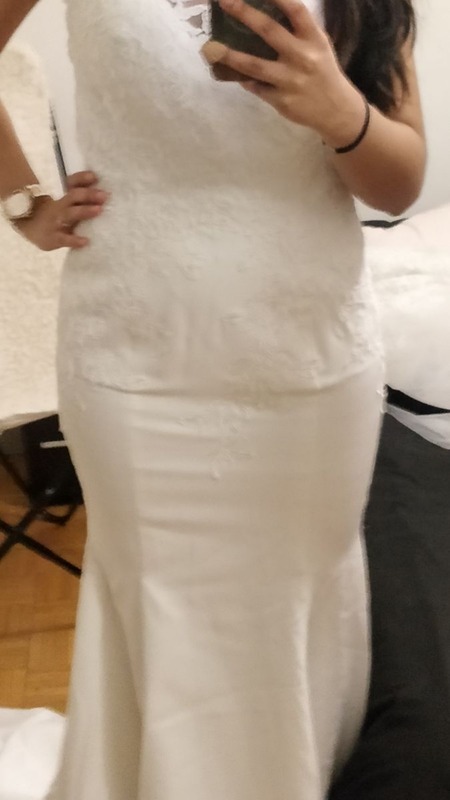 The custom sizing worked and the dress fit perfectly! The dress was made and shipped very fast as well!